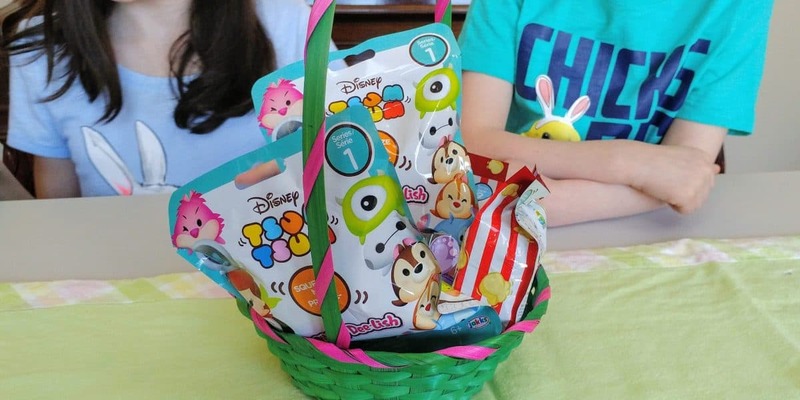 Disney Tsum Tsum make great toys to fill Easter Baskets. 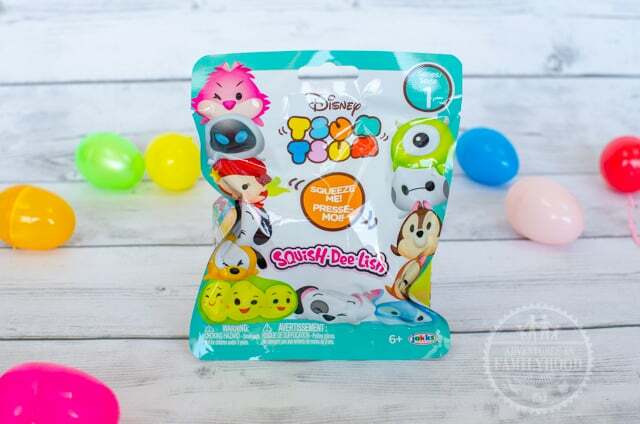 This year in particular is especially good for building a Tsum Tsum Easter basket using Squish-Dee-Lish, Easter blind boxes, and the new Series 9 minifigures. 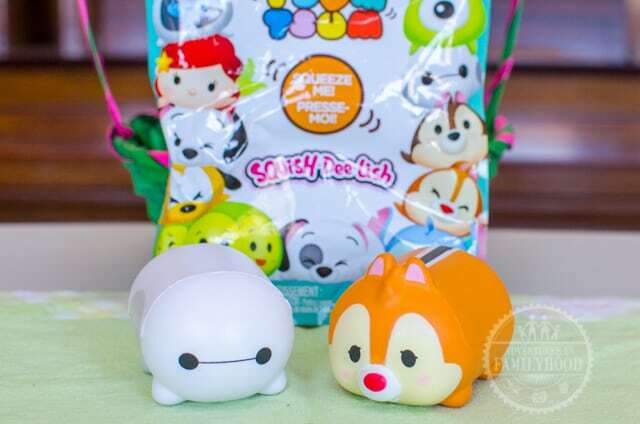 We got our first look at Series 1 of the Squish-Dee-Lish Tsum Tsum at Toy Fair NY last month. 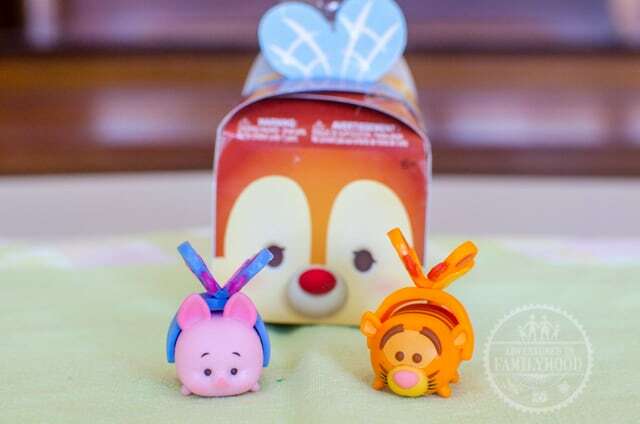 I know Tsum Tsum lovers are going to go crazy for these. I grabbed two packs at Target on sale for half price. These Tsum Tsum are a good size. They’re about the same size as the mini plush Tsum Tsum. They have all the same details you would expect to find on minifigures. And, yes, they are squishy and slow-rising! Another Target find, these Spring/Easter-themed blind boxes contain 1 minifigure with wings accessory. Unlike the bags, you can’t cheat and feel the package to see which minifigure is inside. They are super cute and perfect of Easter baskets. Our boxes contained a Piglet and a Tigger minifigure. We’re on the 9th series of Tsum Tsum minifigures. The packs look like popcorn bags, and the collection includes some pretty cool minifigures and accessories. We opened the two packs we found at Target to find a Nala and Lightning McQueen. 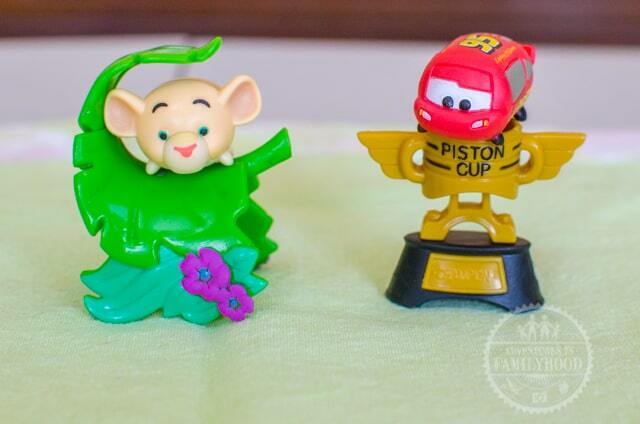 The Piston Cup is awesome! Any of these Tsum Tsum would make a terrific, and inexpensive option for an Easter basket this holiday. 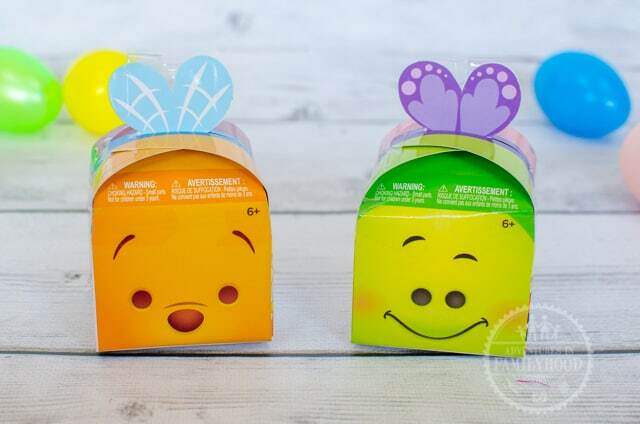 Mix and match to create your own Tsum Tsum themed basket for your kids!